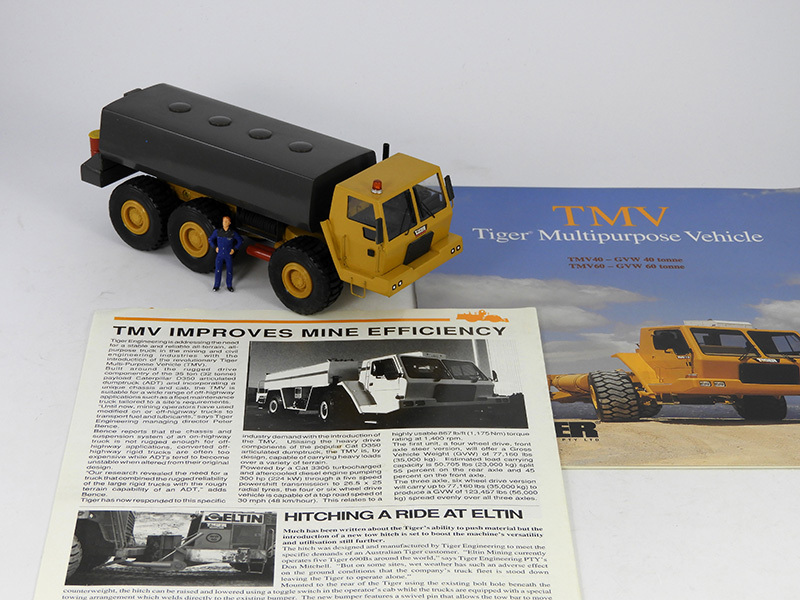 The TIGER TMV60 Fuel Truck in 1:50th scale is a custom made model in 2010. Through a forum I came into contact with fellow collector Keith W. from England who sent me a list with scale models that he offers for sale. 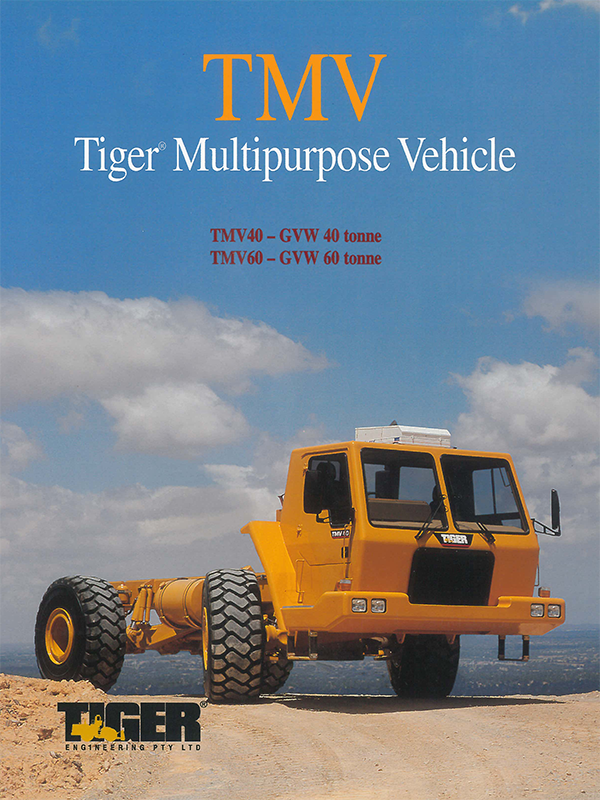 Lured by the name "Tiger" I asked for photos and after I also found an original TIGER TMV brochure of this machine I was immediately tacked. The TIGER TMV60 is certainly not the most detailed scale model in my collection but precisely because the scale model also uses the same components as the 1:1 (namely the Caterpillar D350D from ERTL in scale 1:50 with #2431) and the cabin is spot on, the final result is definitely a unique custom scale model and a very welcome addition to my PoweredbyCAT series.